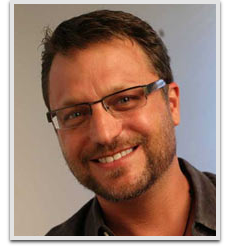 Steve Blum is an American voice actor of anime, animation and video games known for his distinctive deep voice. He provides the voice of TOM, the host of Cartoon Network and Adult Swim’s Toonami programming block. Some of his major roles in anime include Spike Spiegel in Cowboy Bebop, Mugen in Samurai Champloo, Eikichi Onizuka in Great Teacher Onizuka, both Guilmon and Mitsuo Yamaki in Digimon Tamers, and Orochimaru and Zabuza Momochi in Naruto. In animation, he provides the voices for Starscream in Transformers: Prime, Vilgax, Heatblast and Ghostfreak in Ben 10, Amon in The Legend of Korra, Wolverine in Wolverine and the X-Men, and Zeb Orrelios in Star Wars Rebels. He was awarded the Guinness World Record for being the most prolific video game voice actor in 2012, with roles in franchises such as God of War, Call of Duty, Tom Clancy’s Ghost Recon, Naruto, X-Men and Transformers. In 2014, he voiced Shoe and Sparky in the stop-motion animated film The Boxtrolls. In 2015, he participated in The Incredible True Story, a hip hop album/motion picture by Logic.